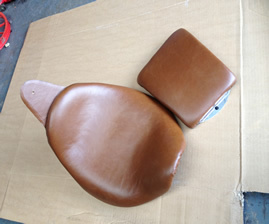 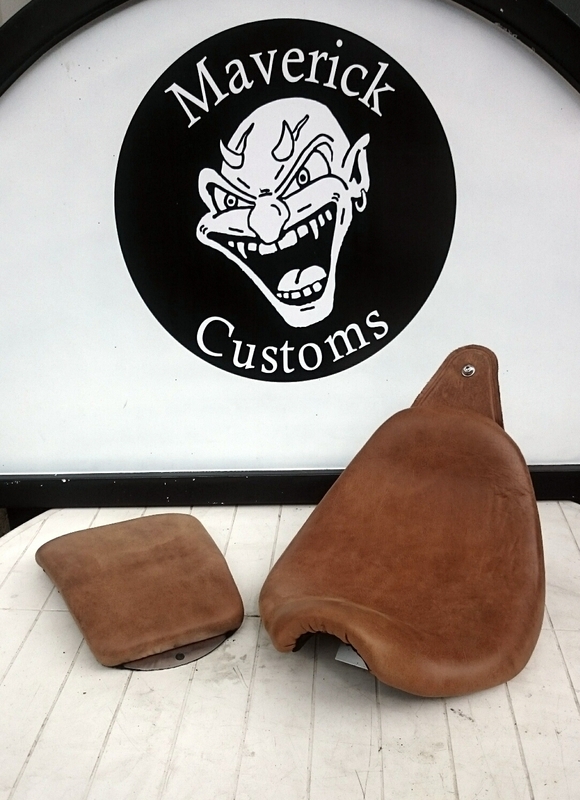 Hand made custom Maverick LowRider seats. 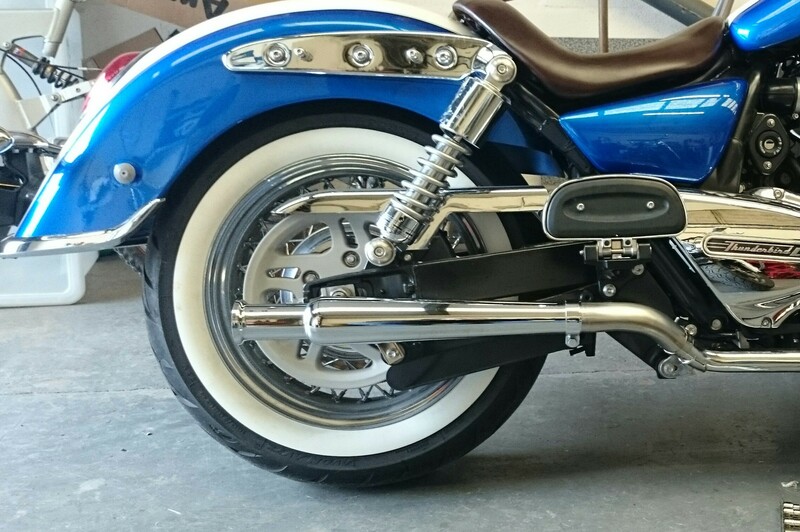 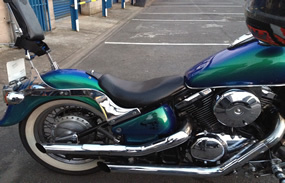 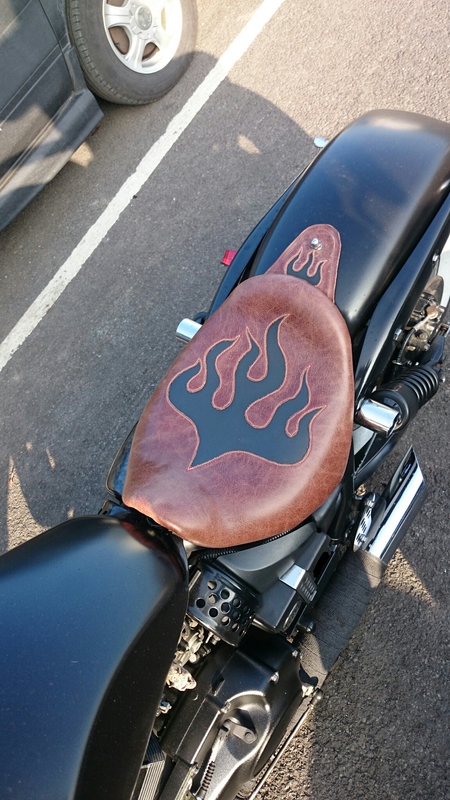 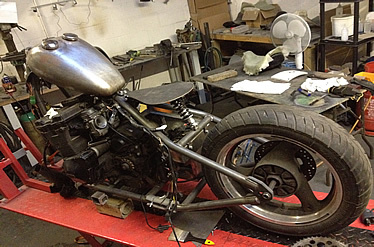 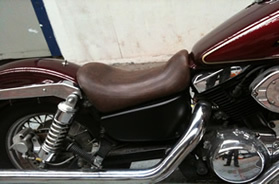 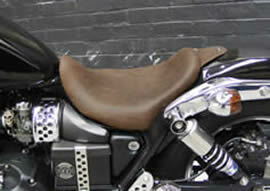 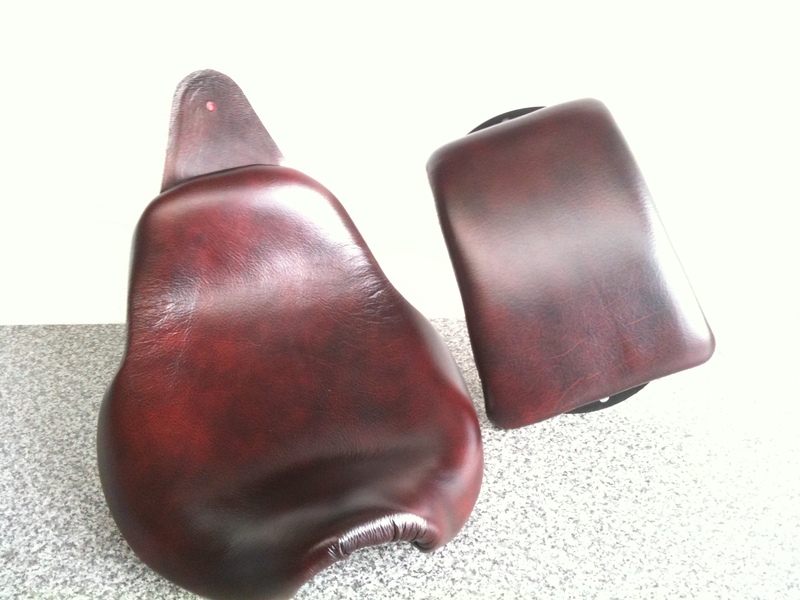 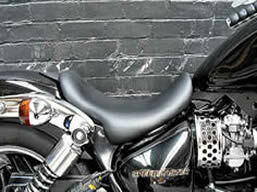 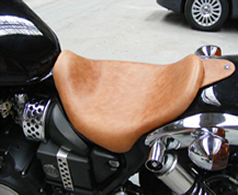 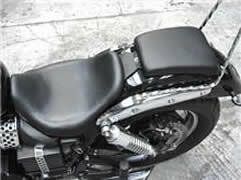 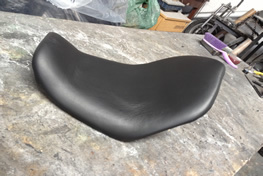 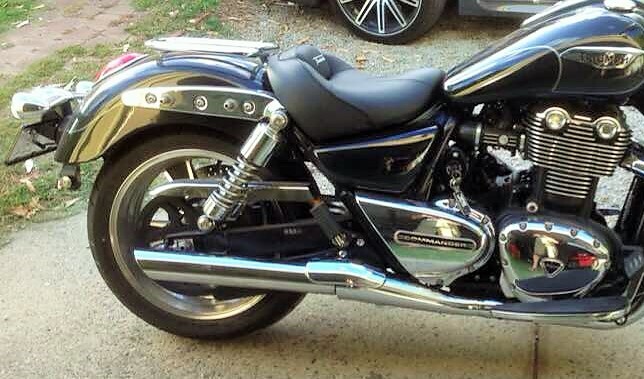 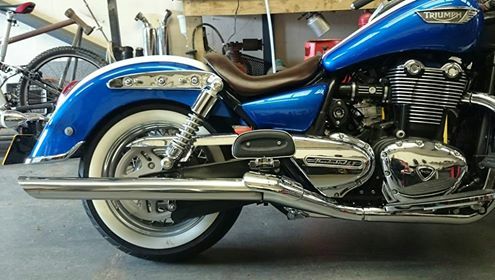 Triumph Rocket 3 Available in March. .
Our LowRider seats can also be customs made to fit any model of bike. 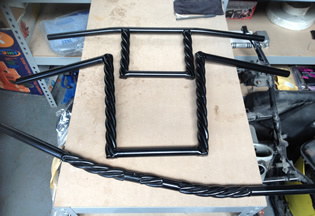 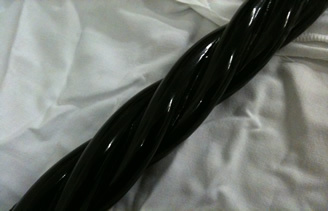 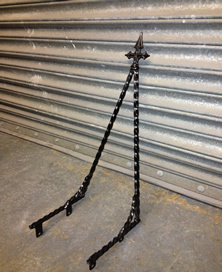 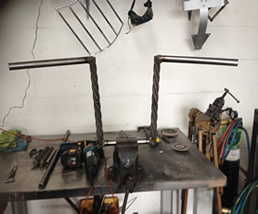 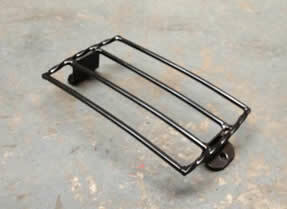 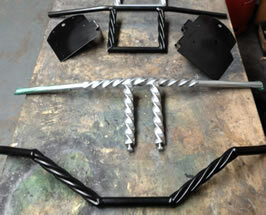 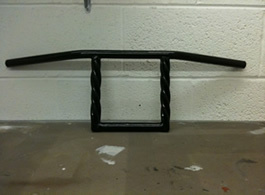 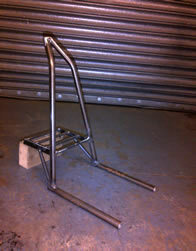 Top quality hand made base cast from the bikes frame to obtain the best fit to the bike. 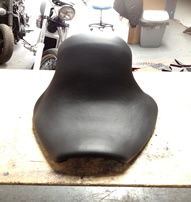 A little shaping and design work, then build up using a high density closed cell foam for best comfort and longevity. 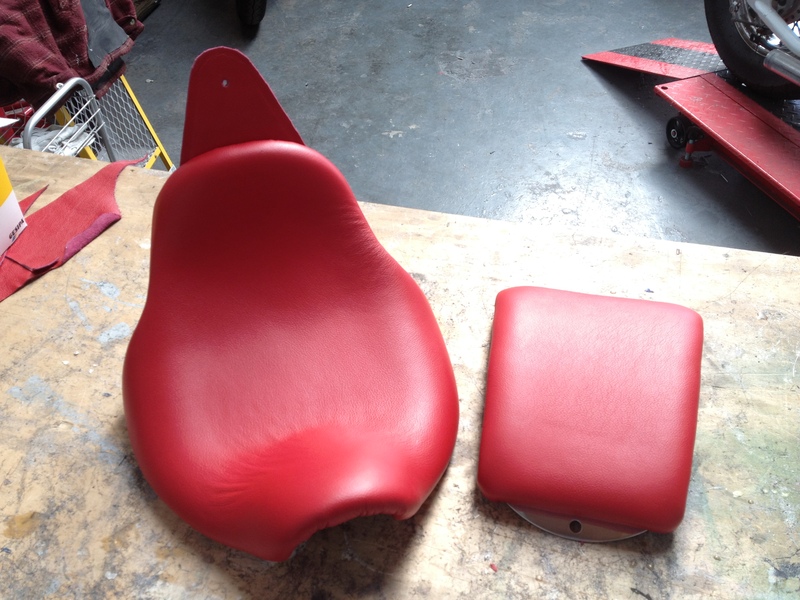 Finished in a top quality genuine leather or vinyl leatherette, and felted underside. 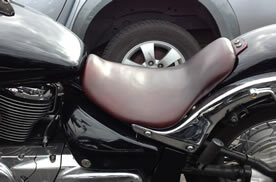 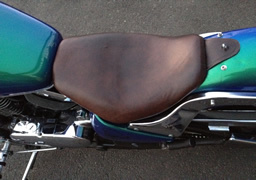 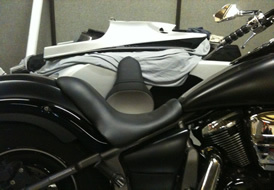 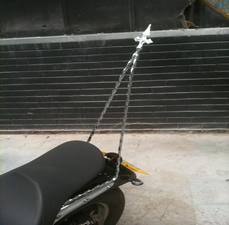 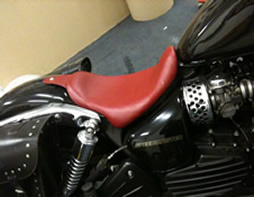 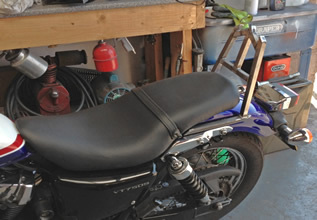 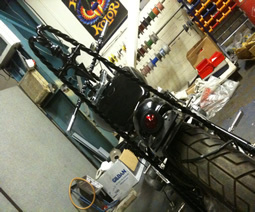 Maverick LowRider seats can be custom made for any bike. 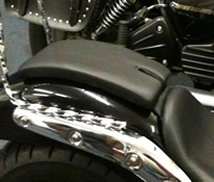 The ability to design, manufacture, and finish, your ideas for your ride. 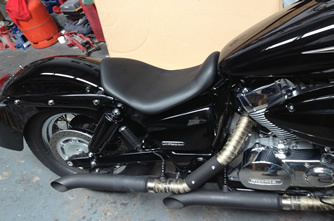 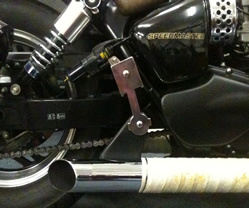 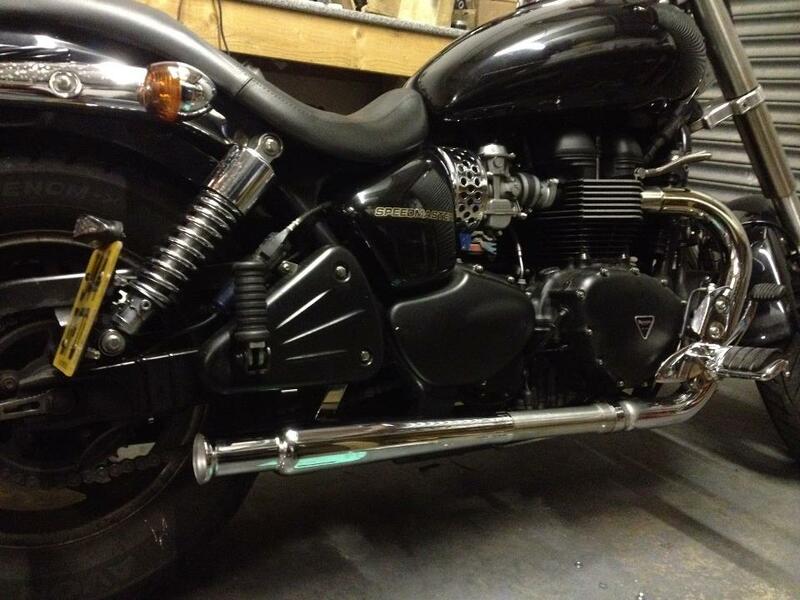 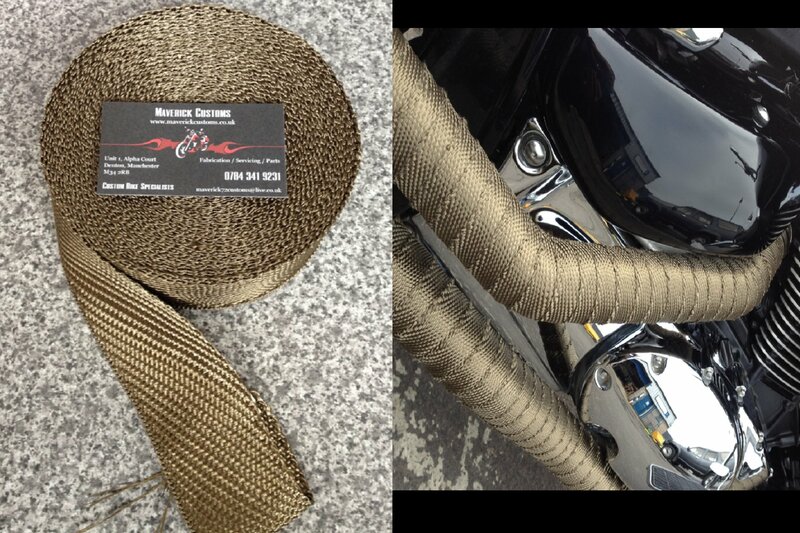 Stainless Exhausts and slip on silencers.. 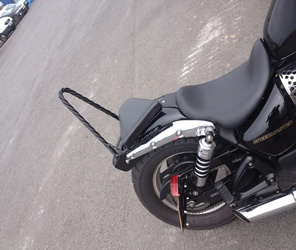 Please contact us with your enquiries or to place an order..
Sissy bars and luggage racks are available to order for Triumph Speedmaster and America models. 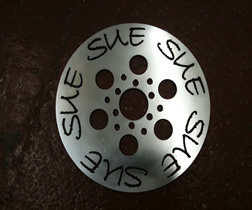 Contact us for available designs. 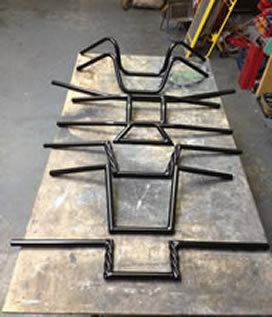 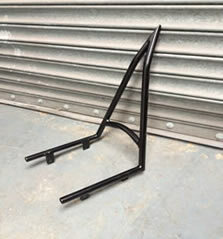 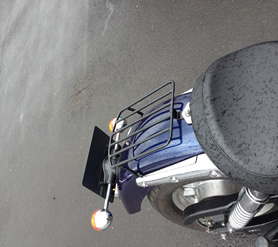 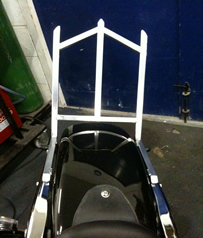 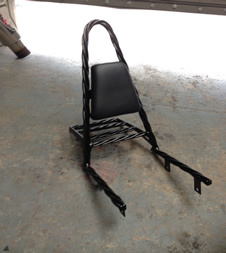 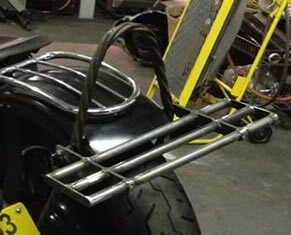 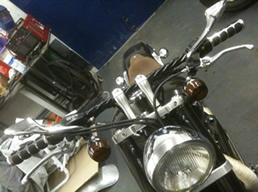 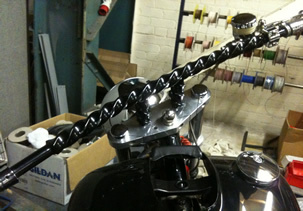 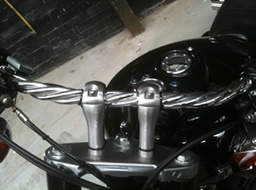 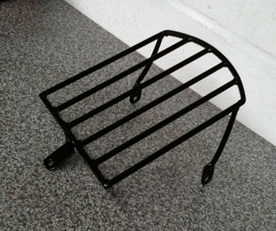 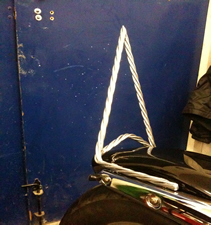 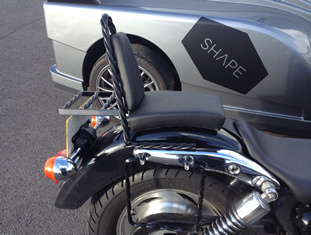 Sissy bars and luggage racks also designed and made to your specification. 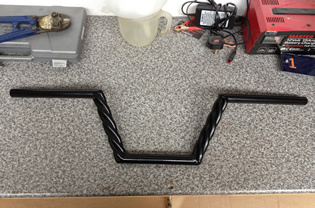 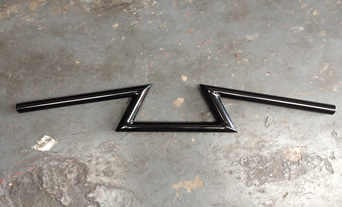 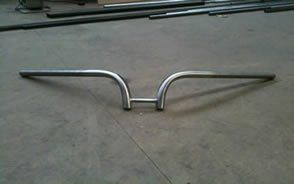 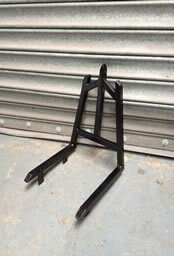 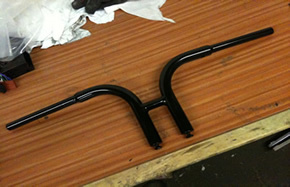 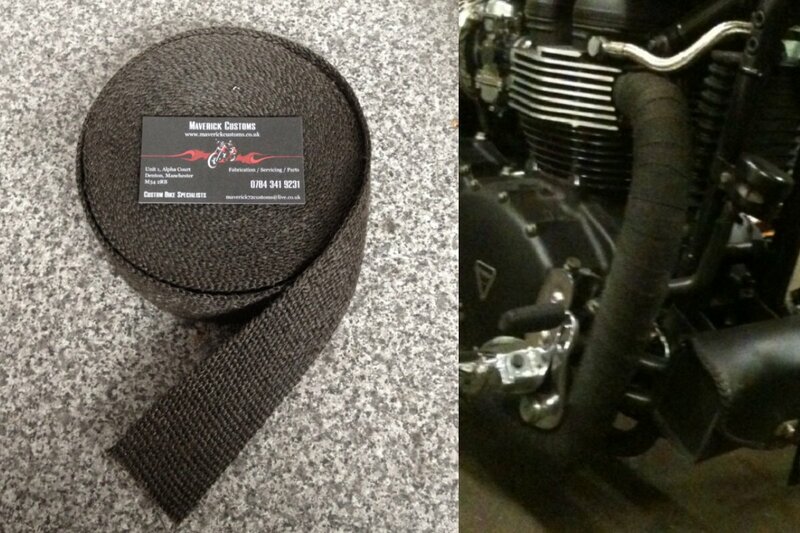 Pannier Rails from £35.99 per pair. 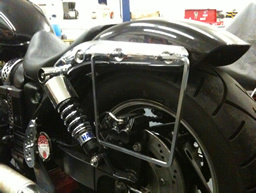 All our 'to spec' items are drawn and double checked using the latest in CAD technology. 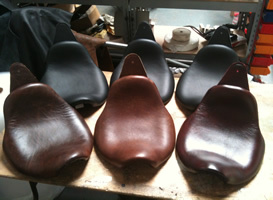 Sizes are confirmed using email drawings to ensure your satisfaction with the product you receive. 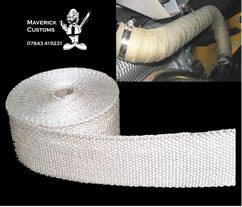 We pride ourselves on customer service and product quality. 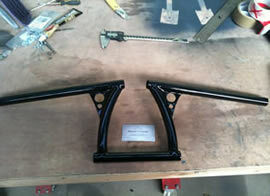 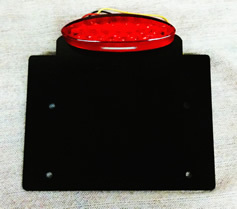 Restoration Preparation and powder coating.